Writing paranormal fiction is fun and exciting, but comes with its own new levels of complications. Keeping track of how my vampires are made, what governs what my wolves can do, and keeping it new and original is a great stretch of the creative muscles, but also vital to remember at all times. The worst thing for me is to be reading a book or watching a movie and suddenly have the rules change on me. Continuity is key in my book. With that in mind, I have been doing sheets and sheets of histories and rules, at least as far back as my characters know. Who were the big names and families? What is their political structure? How do they feed? Can they eat other things? What kinds of offspring can they have? Can there be mixtures? Is there magic mixed with their abilities, and if so what type? What about their powers have changed in the last five hundred years? Two Hundred? Hundred? Fifty? Yesterday? 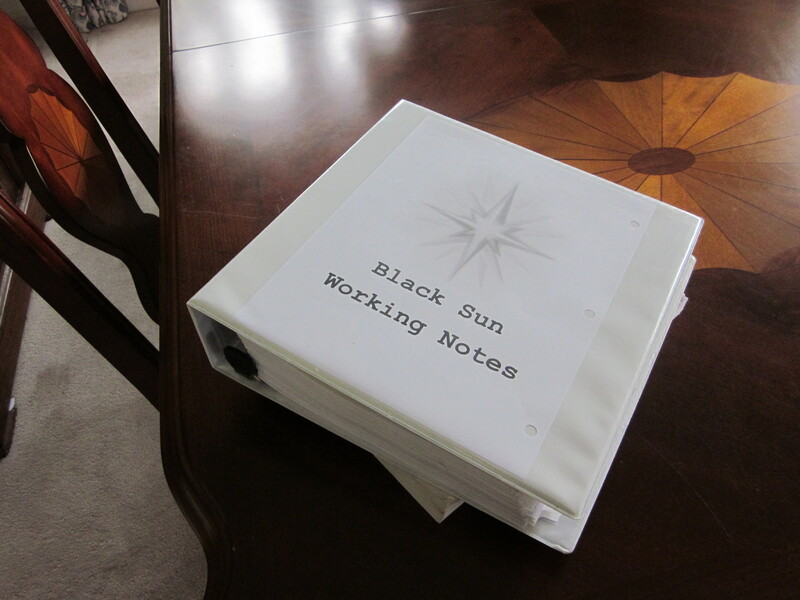 I have been taking time off from some of my revisions to document these and many other aspects of my paranormal world. And just as the great Arthur C. Clarke acknowledged “Any sufficiently advanced technology is indistinguishable from magic”, this means I cannot leave my technological advancements for even my basic human stations out of this run down because, to us, this is a form of continuity and “magic” as well. On top of all that thought, this has to be done for each individual paranormal group and station and planet. Each has their own histories, heroes, villains, powers, changes, so each must be given special attention and their own file folder of information. Then I have to make sure character sheets follow these rules to a tee. If I change a rule, I must go back through all I’ve written and all my folders to make sure it applies to all. As you can probably tell, I try not to do this often. But in the end, it is well worth the headaches and hassle. I am left with a comprehensive world of factions, magics, technologies, races and abilities all trying to scrape to together an existence in the blackness of space. This entry was posted on Friday, May 20th, 2011 at 12:38 pm	and posted in Uncategorized. You can follow any responses to this entry through the RSS 2.0 feed. I am a writing coach and author, striving everyday to improve my skills, usually learning from those I help. I am wife to a man who inspires all those around him, and mother to a son with creativity twice his size.